United States, of which reviewer Carla Rees of the Music Web International wrote: "The playing of the Unison Piano Duo is impressive throughout." They also released an album on the Chinese label of Yangtze River. 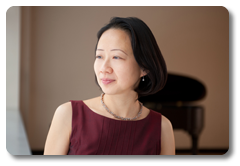 Huang and Hu received their early training at the Shanghai Conservatory of Music, and later graduated from the University of Cincinnati, College-Conservatory of Music as students of Eugene and Elizabeth Pridonoff. Both hold a Doctor of Musical Arts degree from the State University of New York at Stony Brook, where they studied with pianist Gilbert Kalish. 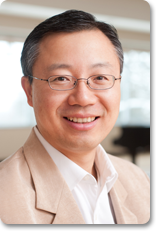 They have served as Adjudicators for the Chicago Two-Piano Festival and Competition, Hong Kong Schools Music Festival, Shanghai International Piano Festival and Institute, and numerous Music Teacher Association Auditions in Iowa, Minnesota, and Wisconsin. They have also served on the piano and chamber music faculty at Saarburg International Music Festival in Germany.